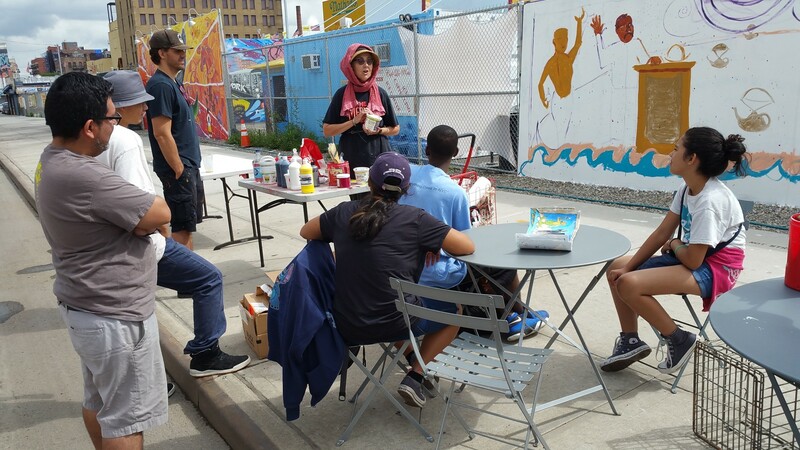 Legendary NYC artist Marie Roberts art directed our second (of two) Summer Intensive 2016 and featured a third Coney Art Walls mural project. 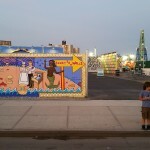 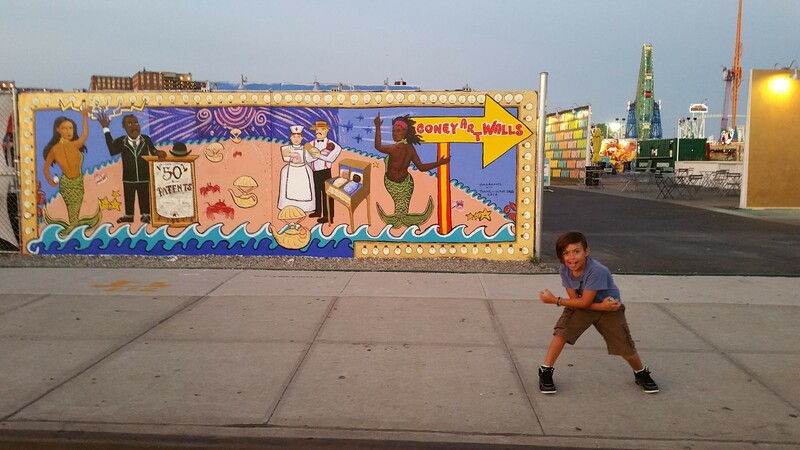 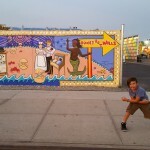 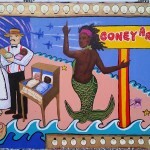 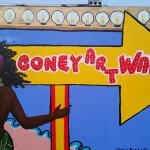 “When you think Coney Island, you usually think boardwalk and rides. 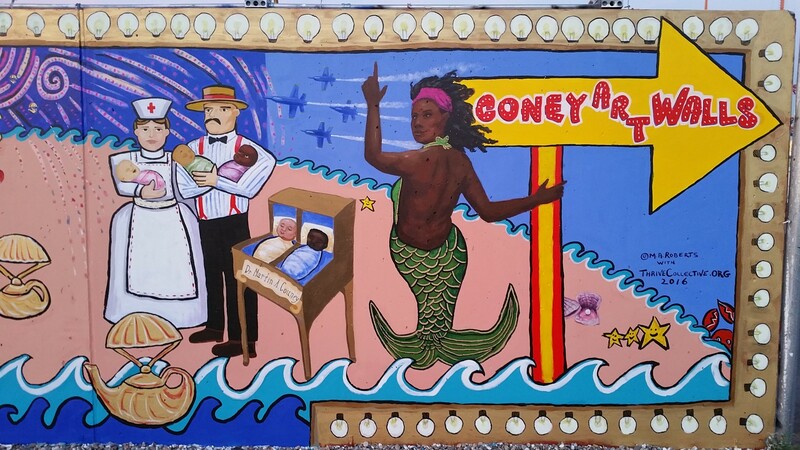 But this neighborhood also has an emerging art scene. 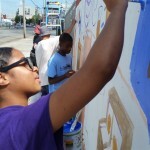 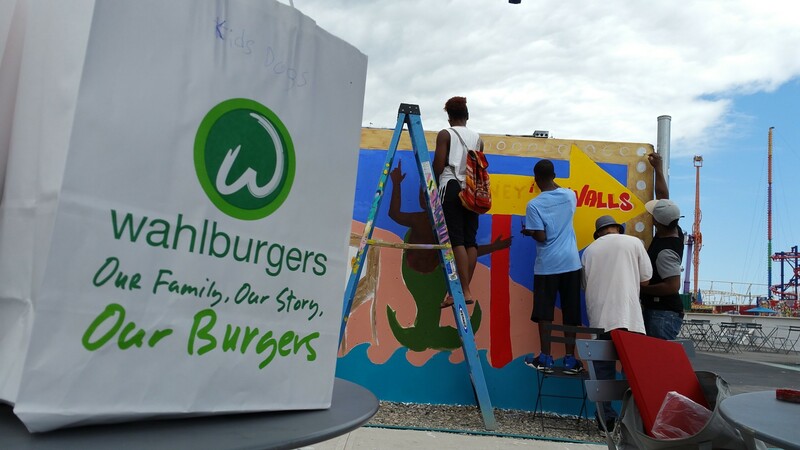 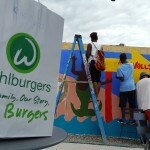 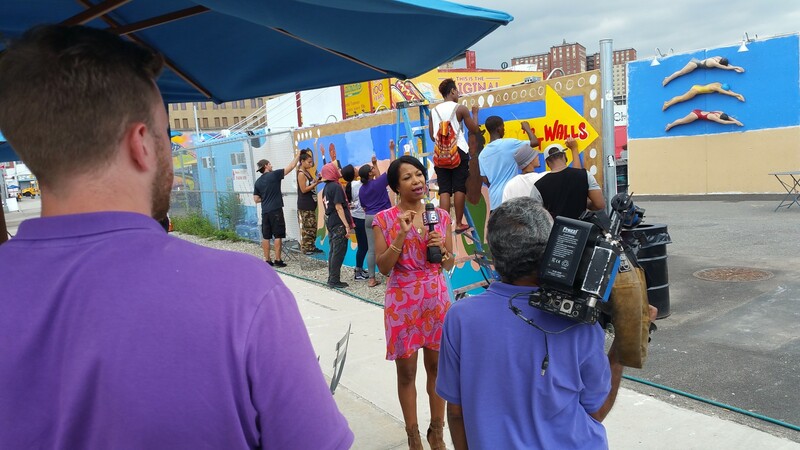 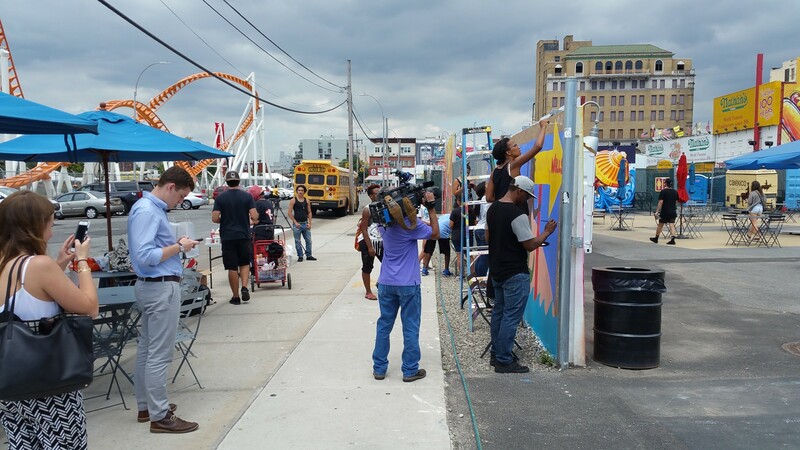 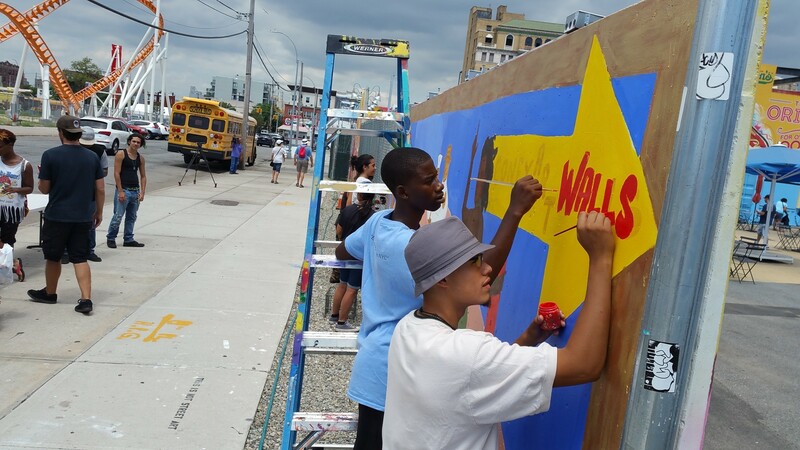 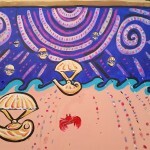 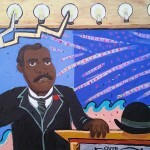 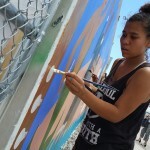 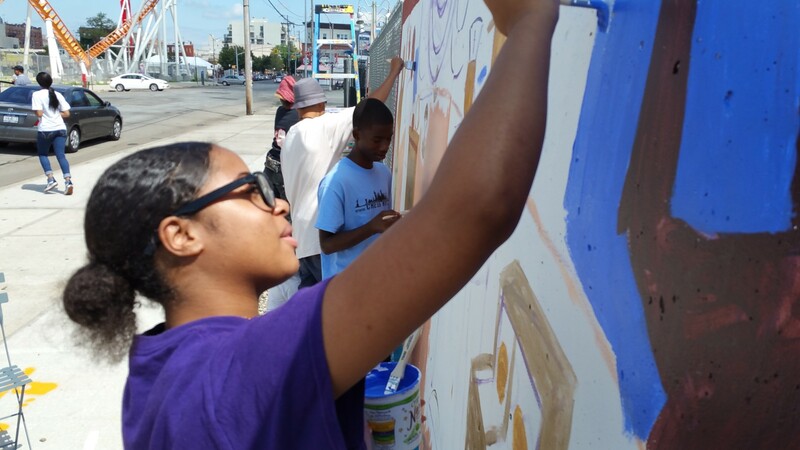 Students from all over the city are making Brooklyn more colorful, one brush stroke at a time. 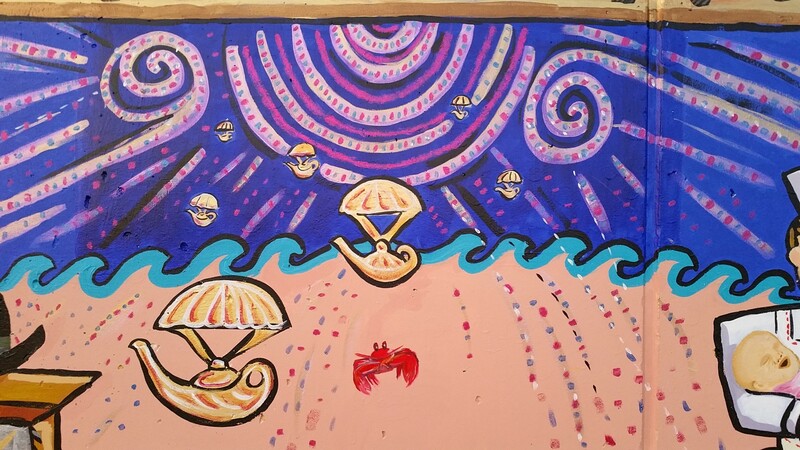 Best of all, no art ability, no problem. 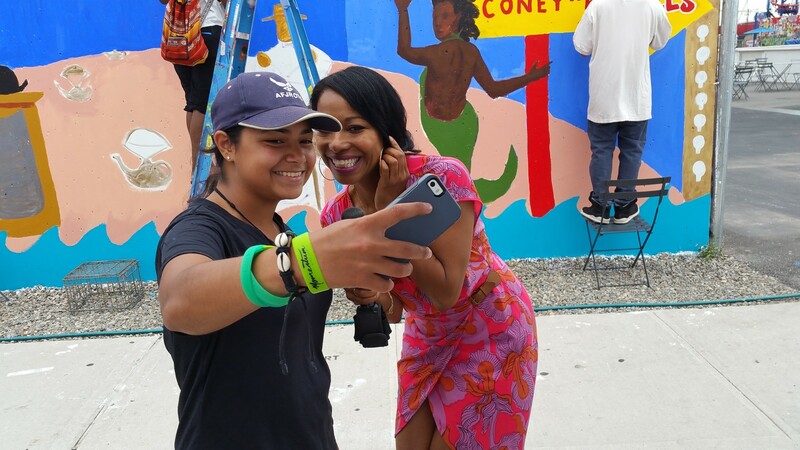 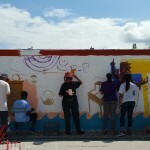 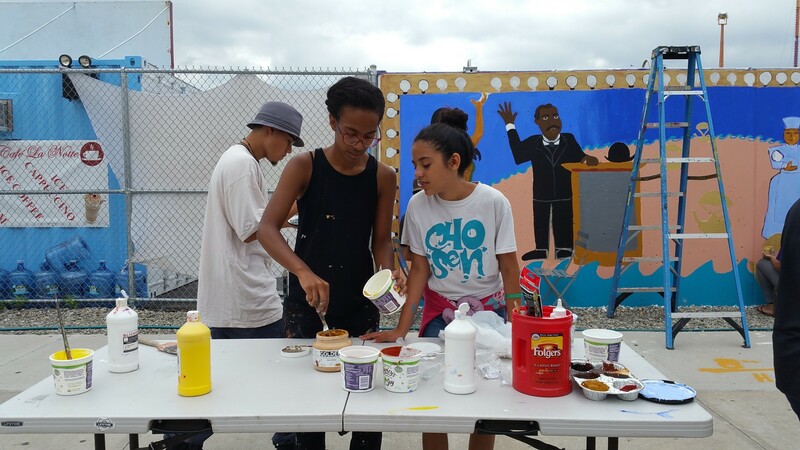 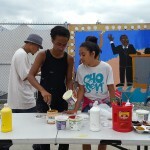 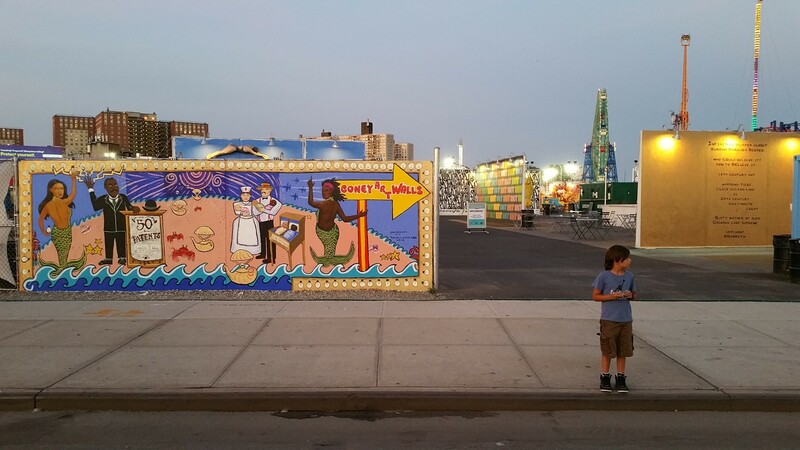 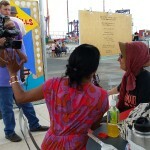 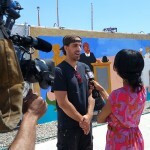 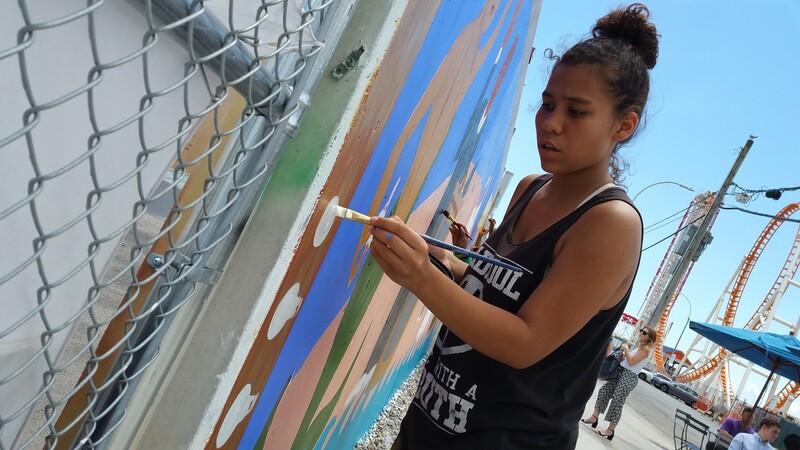 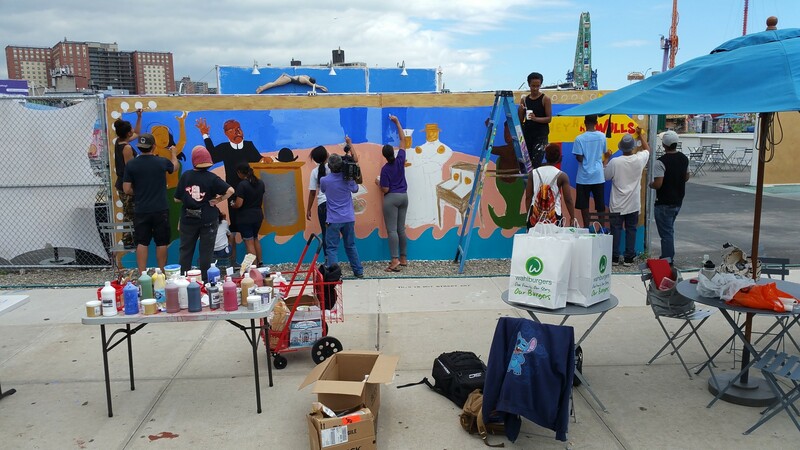 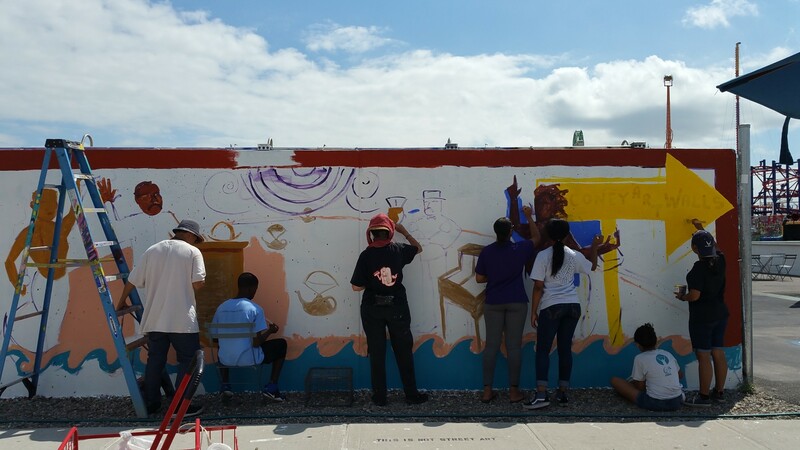 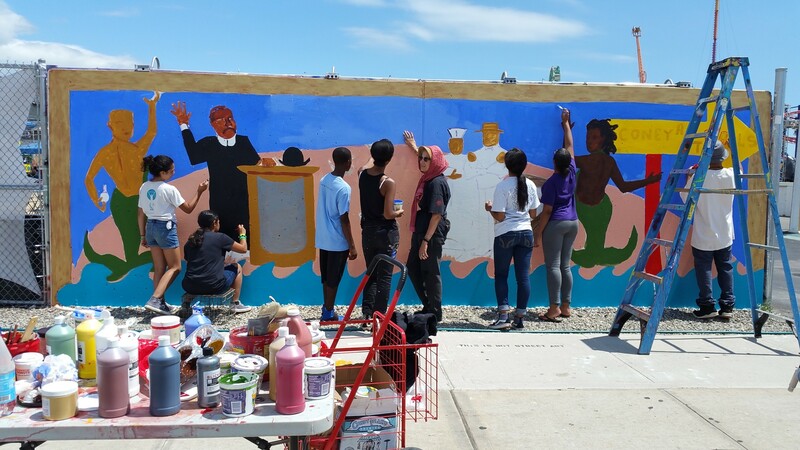 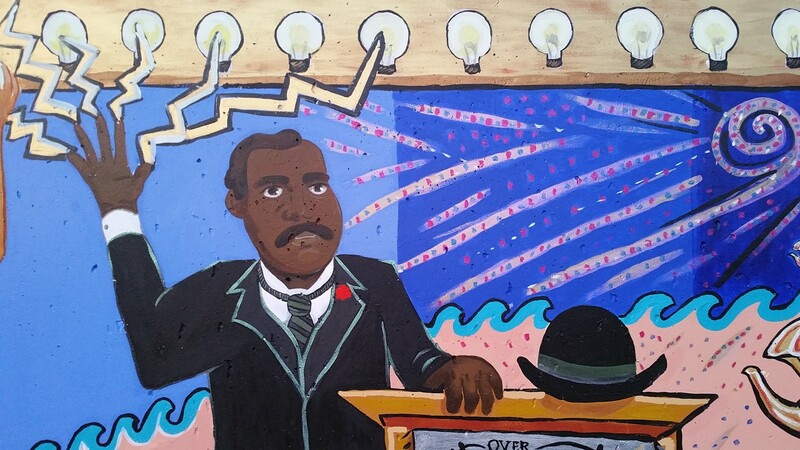 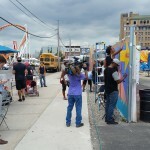 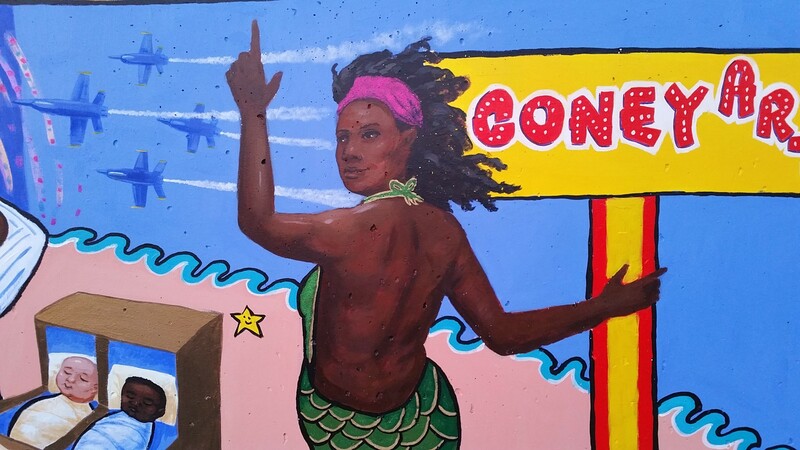 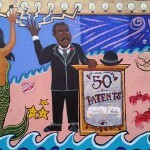 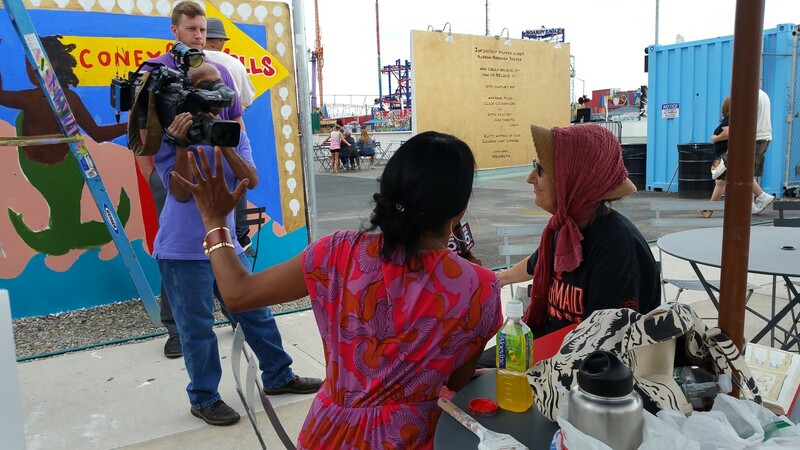 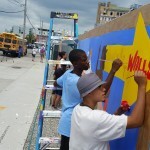 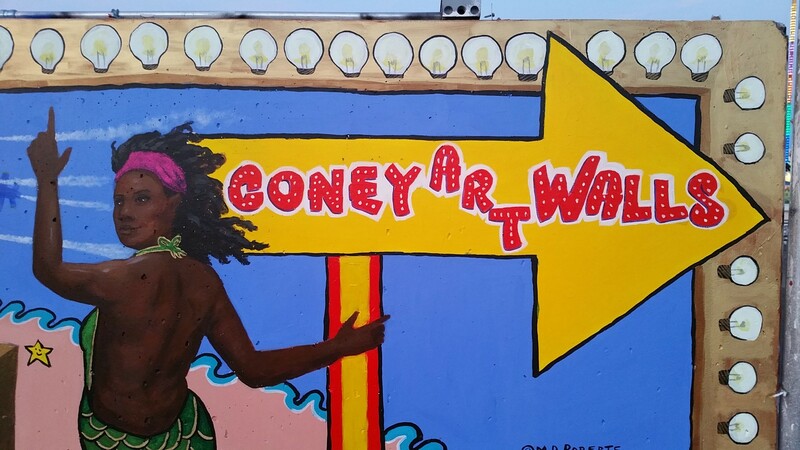 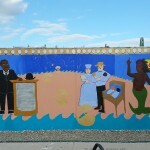 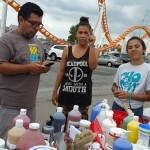 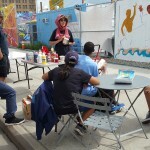 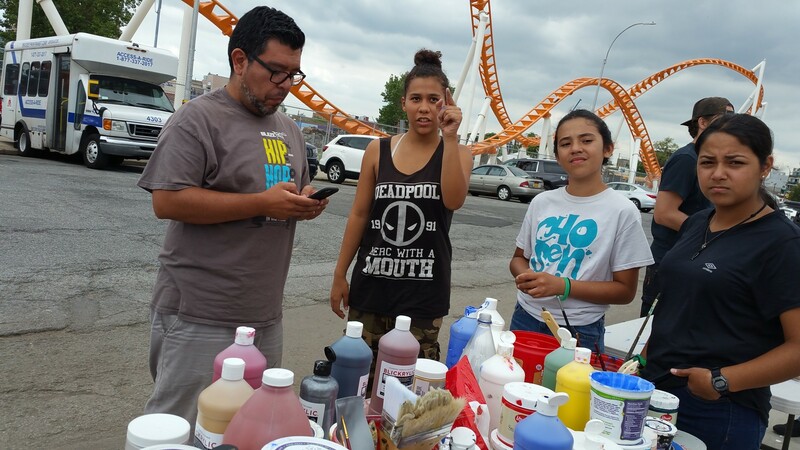 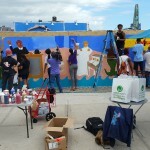 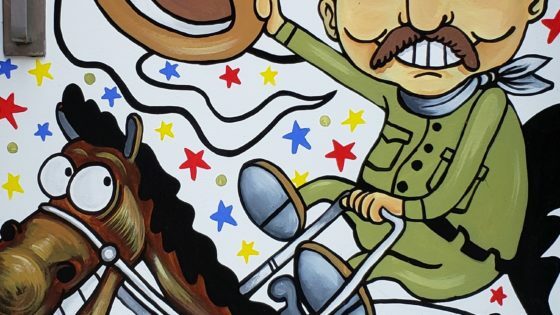 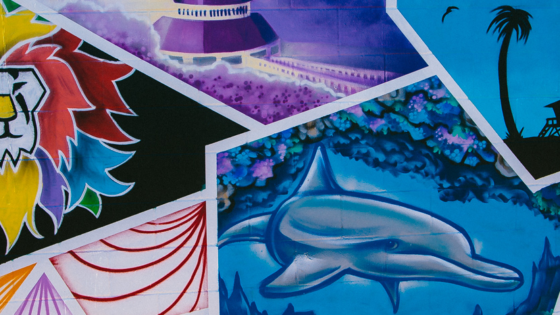 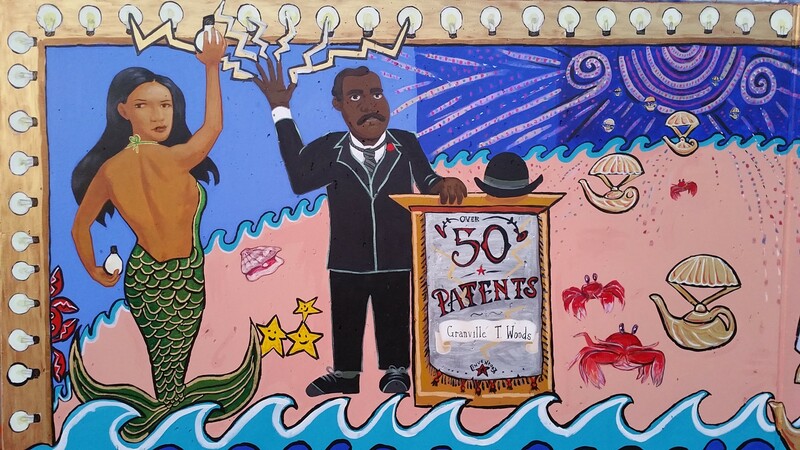 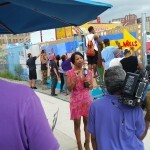 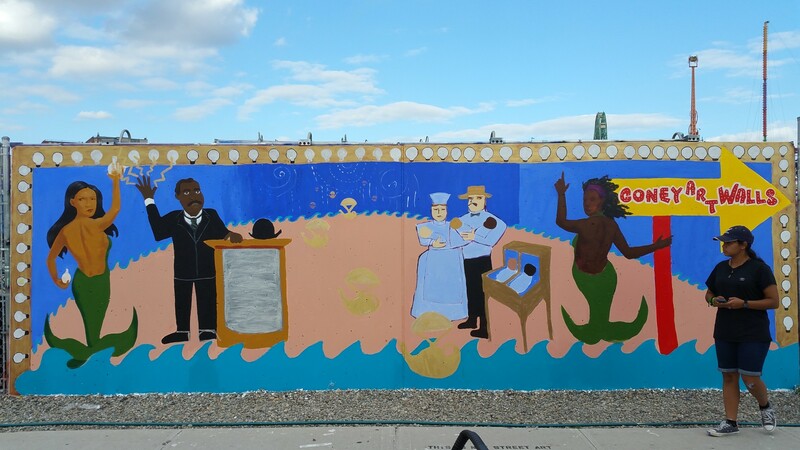 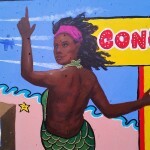 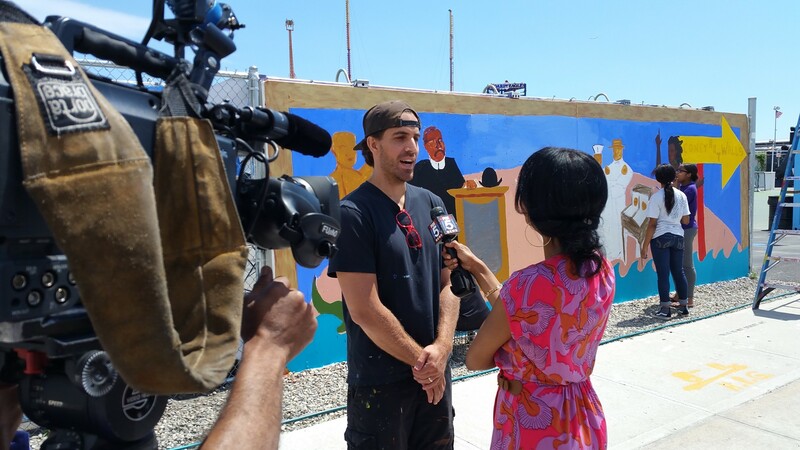 “Coney Island Art Walls, an outdoor museum of art, is hosting a student arts program called Thrive Collective. 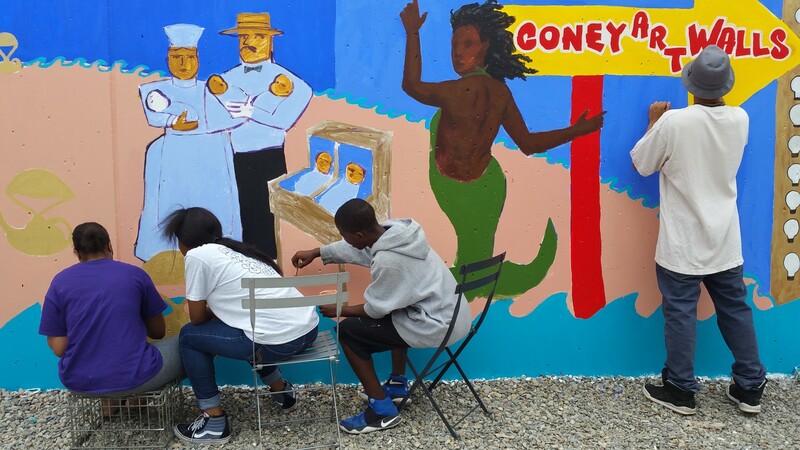 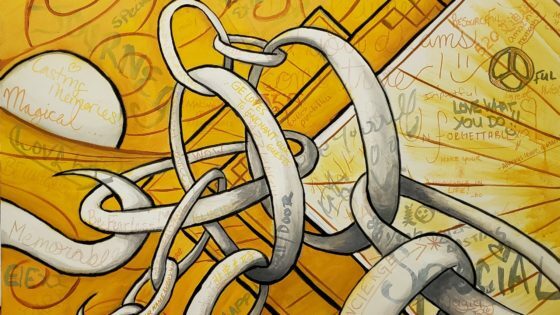 New York City has 419 schools with no arts program at all. 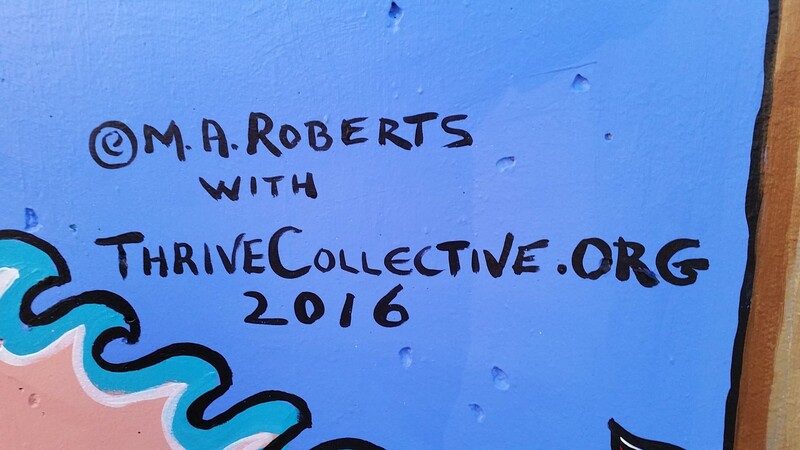 The collective is working to change that. 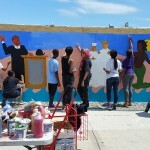 In the end, the art also changes the students who get involved.